A lovely apartment with panorama view of Dubai Marina now available for holiday rental again. Prime location beside the Dubai Marina Mall, close to the beach, restaurants and the Metro. Fast access to Sheikh Zayed Road. Nicely furnished in a high end development. Equipped with everything you need for a comfortable stay in a holiday home. Up to four persons can stay in the apartment. Best suited for a coupe of two. A fantastic pool area with loungers, pool and children's pool are available. The building has security 24/7 and also houses a supermarket with ATM machine, pharmacy and laundry service, and also four nice restaurants and two gymnasiums. Regular check in is at 15:00 and checkout at 11:00 in the morning. Only shower towels and hand towels. Pool towels are not provided. Pool area with main pool, kids pool and jacuzzi area and sun beds. The Silverene Towers consists of two buildings - Tower A and B. The complex has by far one of the best locations in the Marina area - next to the Dubai Marina Mall, a few minutes’ walk to the beach, 'The Walk' and the marina promenade how hosts many restaurants and cafes. A few minutes in the other direction we have the Dubai Metro, which will take you all the way through Dubai, along Sheikh Zayed Road. The closest tourist attraction departs from the pier just outside of Silverene - Dubai Ferry. The ferry offers tours along the marina to Palm Jumeirah. Also the Dubai Water Taxi stops at this pier. The water taxi can take you all the way to Deira by boat. Each building has its own 24/7 reception area. The pool area is located between these fabulous buildings, offering a swimming pool, sun deck, kids pool and a Jacuzzi. The complex hosts a spacious supermarket with ATM machine, a pharmacy and a laundry service. We spent 10 days in this wonderful apartment and we were happy about our choice! The JBR beach, tram and subway stations are 10 minutes by walk, the Carrefour supermarket, some good cafes and nicely designed heated pool with a lifeguard are in the building- what else could we wish! Speaking about the apartment- it is a stylish and elegant flat with a balcony facing the Marina and the promenade , on the 3rd floor , which is important for me with my fear of heights. There is a big panoramic window in the bedroom with the fantastic view! This is a really unique thing! The flat is not big, but good for a family or a couple. The parents can sleep in the bedroom, 2 kids- on the sofa bed in the living room. The apartment has a good conditioning, wi-fi, 2 toilets (one with a shower cabin), big smart Samsung TV-set, audio system with DVD, nicely equipped kitchen with a washing machine, microwave, big fridge, toaster, electric kettle, electric stove with an oven. For coffee lovers- the coffee machine is filter type, I brought my jezve (turka) with me. There were good pans, pots, casseroles, cutlery, tableware in the kitchen- it was comfortable to cook there . No dishwasher. The beach towels, shower gel and shampoo are not provided, you should bring your own or buy it. The owner of apartment, Lina, is very helpful and open for any questions. So, I can highly recommend this apartment and hope to come back some day! Thank you, Lina!!! Luxury Apartment with incredible view!!!!!! We're visit Dubai from 2010 and stay in many hotels and apartments but this one was the best !!! Fantastic area : swimming pool on same floor available for use day and night , supermarket 24 hours , many tasty restaurants and bars . Just 10-15 min walk to JBR area with many lovely beach . And apartment very modern with nice furniture and the view it's other story - when you wake up and saw this view from your bed all day will be in good and positive mood !))) Thanks a lot dear Lina for good organization of holiday ! Very recommend ! We come back again for sure . Best regards . Amazing Apartment - don't miss out! Appartment was excellent. Very well located on the promade, clean and comfortable. Owner's staff provided a very good service. Pool area was really pleasant to relax in. Plenty of restaurants nearby. Le Pain restaurant near Pier 7 was our favourite for breakfast and coffee. Would recommend Silverine. Really comfortable place in the heart of Marina! 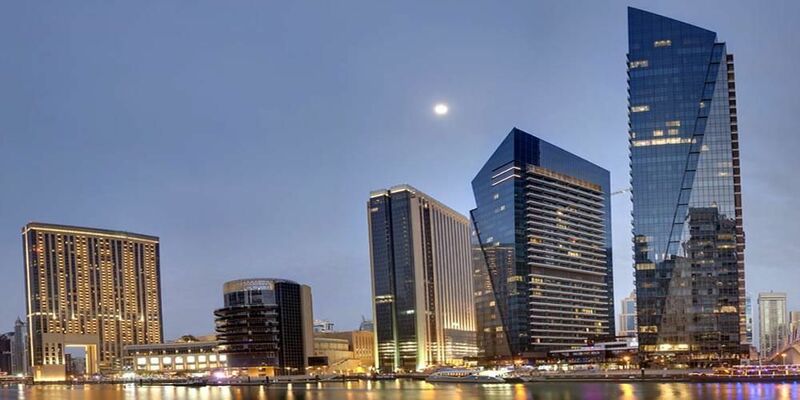 Ideal location next to the Dubai Marina Mall, with panoramic views of Dubai Marina. Just minutes way from the beach at JBR (Jumeriah Beach Residence) and restaurants at The Walk. Close to Metro station Jumeriah Lake Towers. Security deposit of $250 will be charged at time of booking, deposit will be refunded after check-out is cleared.